A good exit strategy honoring notice period and facilitating smooth handover of responsibilities always work to the benefit of the employee. But due to certain unavoidable circumstances, situations may arise when an employee would need immediate resignation from his/her current organization. Such urgency of immediate resignation may occur due to variety of reasons such as personal problems, family problems, health issues, pregnancy issues, accident and injuries etc. In such cases the employee might require an immediate resignation from his job and responsibilities without serving the notice period. 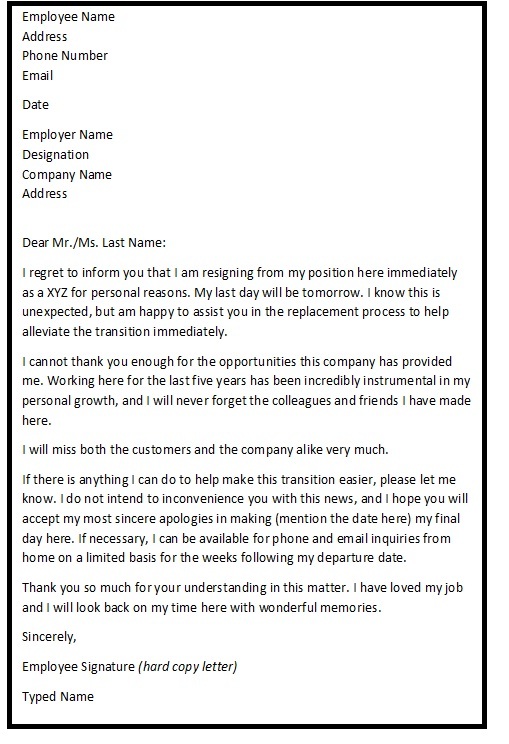 Such resignation letters should contain a professional apology from the employee as the company would be facing certain difficulties and hassles in such cases. 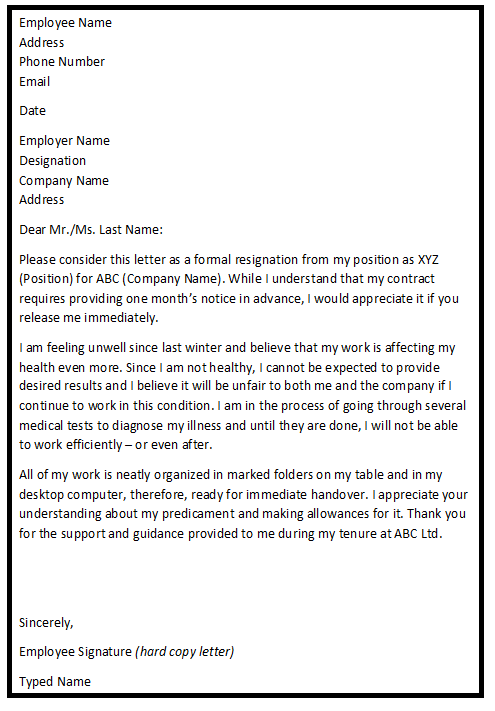 Moreover, the resignation letter should clearly explain and convince the employer of the urgency & seriousness of his/her reason of resignation. The employee should also express gratitude to the employer for the opportunities and experiences achieved during his/her tenure and wish the organization a bright future.